You aren’t crazy about the idea of spraying chemicals in the room where you sleep. You’re the type who pursues natural solutions to problems whenever you can. You know essential oils can be great for the body and mind, and you’d feel a lot better about inhaling them than chemicals you can’t even pronounce. If you’d like to use essential oils for bed bugs, we’ve got you covered. We’ll let you know which essential oils you may want to try when getting rid of bed bugs and how to use them. This article will also tell you about some of the other benefits you may experience while using essential oils to fight your bed bug problem. It’s always nice to use products that offer more than one benefit and essential oils definitely fit that bill. Do Essential Oils Work Against Bed Bugs? 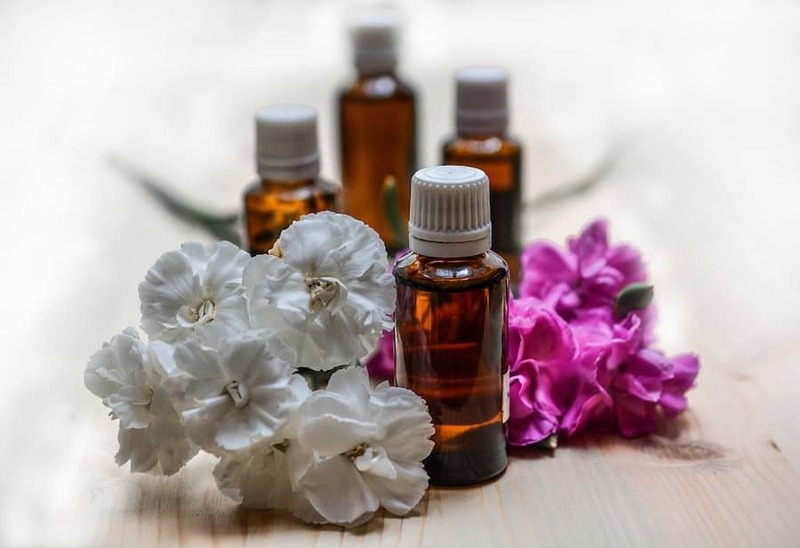 Essential oils are oils extracted from plants – as such, they are highly concentrated, having potent aromas at times as well as medicinal qualities. The oils are obtained through the method of distillation and the majority of the plant’s parts are typically used, including flowers, stems, bark, leaves, and even roots. Because essential oils are so highly concentrated, they can be dangerous if you don’t know how to use them properly. Even though they are natural, people still have to exercise caution when using them. If you use them improperly, they can cause rashes, and some can be poisonous if ingested or if too much is absorbed through the skin. So if you decide to use essential oils, you should make sure you understand the best way to use the particular oil you’re considering. Always have respect for their potency. It’s best to treat them as if they are a type of medication rather than a more harmless product like lotion. The key to using something safely is to have respect for what can happen if you don’t. And you should also keep in mind while using essential oils that the quality of the oil from one manufacturer to the next can vary greatly. Higher quality oils tend to cost a bit more because they require more plants to produce them than lower quality oils do. So don’t pick an essential oil based on price alone. This question is a bit controversial. Some exterminators will tell you that essential oils used as a homemade bed bug killer may be somewhat effective, but that it’s not nearly as effective of a treatment as heat or chemicals. But some believers in essential oils and more herbal-based medicines and therapies claim essential oils can kill bed bugs naturally, thus allowing them to abstain from using toxic man-made chemicals. The evidence about the effectiveness of essential oils on bed bugs hasn’t been studied extensively so it’s hard to say which party is correct. But while essential oils likely will kill some bed bugs, it won’t be 100 percent effective. If you’re dealing with a heavy infestation, it’s unlikely you’ll take care of it with essential oils alone. Essential oils may be better used more as a repellent than a lethal bed bug weapon. But if you’ve only seen a few bed bugs and don’t think your infestation is that bad yet, you still have time to try essential oils. But if you notice the situation spiraling out of control during the time you’re trying to treat your house with oils, you should call your exterminator and get some traditional treatment. 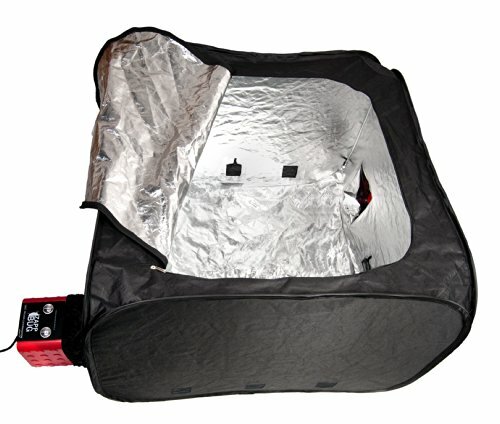 The best course of action, however, is trying to use other methods that work as far as exterminating your bed bugs, whether you use heat or chemicals. As you’re waiting for those methods to work, you can use essential oils to protect you from bed bugs biting you while you’re sleeping. While the essential oils won’t likely kill bed bugs, they may bring you some much-needed relief until the other methods knock them out of the picture. 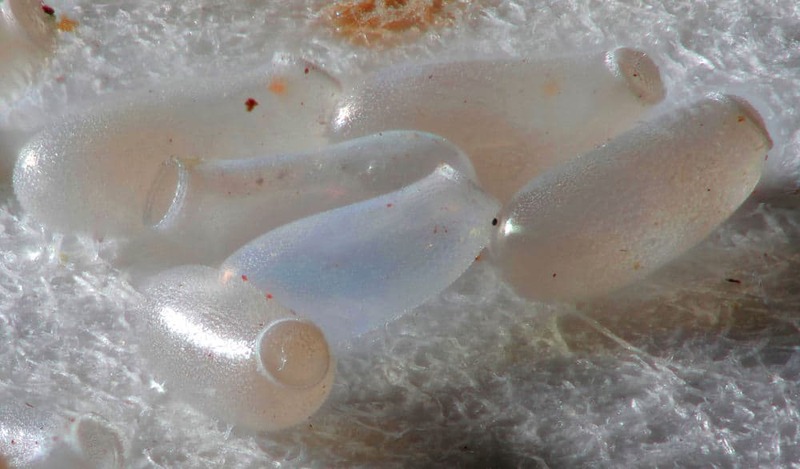 If you’ve been bothered by the itchiness of bed bug bites, essential oils might be worth a try if they even prevent a few of those bites. Let’s look at some of the essential oils that are believed to work against bed bugs. 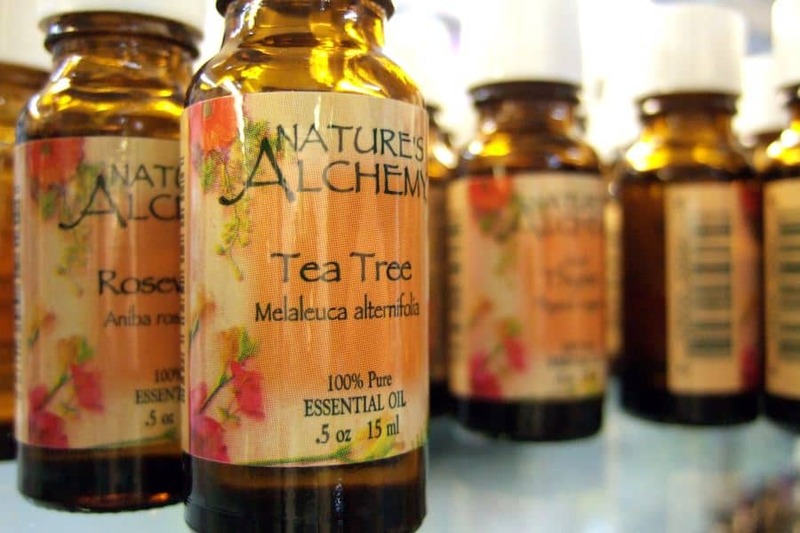 Tea tree oil is a good all-purpose essential oil. It’s earned a reputation as a good insecticide, fungicide, antibacterial, antimicrobial, and antiseptic oil. Because it’s also good at treating and healing wounds, if you’re suffering from bed bug bites, you may want to apply some of this topically to your skin. That’s in addition to treating your room with this oil. Tea tree oil has grown in popularity in recent years because of how good it is for the skin. It’s in some acne medications, face wash, massage oils, shampoos, and nail creams. Bed bugs don’t like tea tree oil, but in order to kill them, you’d have to use tea tree oil in its undiluted form. You can’t do that, however, without taking the chance of harming yourself too. That’s because undiluted tea tree oil is toxic if you ingest it, even to humans. That means you don’t want to be spraying it around your room if it’s undiluted. Tea tree oil works against bed bugs when it is absorbed by an insect’s exoskeleton. The oil ends up suffocating them. That may sound harsh, but maybe they should have stayed out of your home. There is a limitation to spraying tea tree oil in an attempt to kill bed bugs. You won’t be able to spray it near one of the hiding places they frequent – electrical outlets. Lavender oil can kill bed bugs, just like tea tree oil. But in order for it to kill them, it has to be sprayed on them directly. But like tea tree oil, lavender oil is really strong. That’s why it’s recommended you use a diluted version of this oil as well. The nice thing about lavender is it is one of the essential oils that seems to have a universally-liked scent. That can make it more pleasant to spray it around your bedroom. As another perk, the scent of lavender is known to promote sleep because of how relaxing it is. 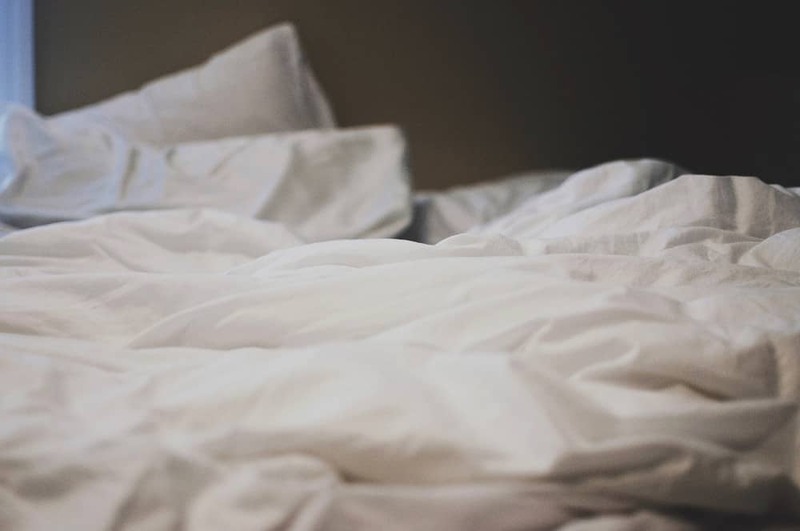 Since bed bugs can be a source of stress and they can keep people awake at night wondering if they are crawling near you, it would be the perfect time for a little bit of relaxation. Thyme oil works as an insecticide and can kill and ward off bed bugs. But, like some other essential oils, thyme is not safe in its undiluted form, especially for pregnant women and children. If you’re spraying your bedroom for bed bugs with thyme oil, there are some other benefits you may experience from the oil. It is believed to boost the immune system, kill bacteria, relieves anxiety, and even increases circulation. While that won’t help with your bed bug problem, it’s nice to know you’re getting extra benefits while trying to protect yourself from pests. One word of warning, if you plan to use thyme oil mixed in a lotion or carrier oil so you can ward bugs off of your skin, you should ask your doctor about it first. Because it can raise your blood pressure, if you already struggle with elevated blood pressure, you should skip this kind of oil and opt for another. Lemongrass, the plant, is often used in Asian cooking, and it is a popular ingredient to put in tea too. While it may taste delicious, bed bugs don’t share our enthusiasm for lemongrass. Lemongrass oil can be fatal to bed bugs and it is believed (although not confirmed) to stop their eggs from hatching. 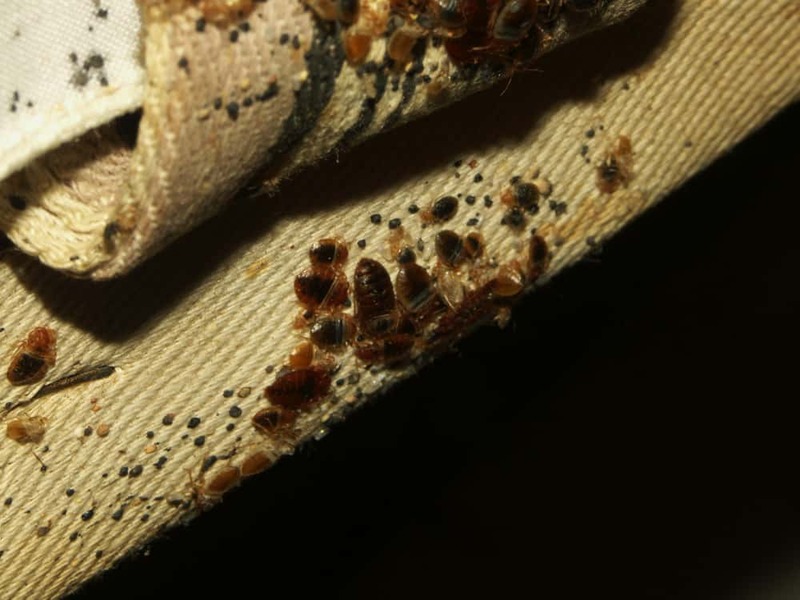 If new bed bugs can’t hatch, they can’t repopulate as the older bed bugs die off. The smell of lemongrass oil is nice but it is really strong – as you may have suspected from the name it has a lemon-like, citrus odor. You may notice some other benefits to you if you use lemongrass to tackle your bed bug problem. The smell of lemongrass is known help relax you and relieve small aches and pains, like headaches, stomachaches, and muscle pain. If bed bugs aren’t the only pests in your household, you can use it to get rid of other insects too. 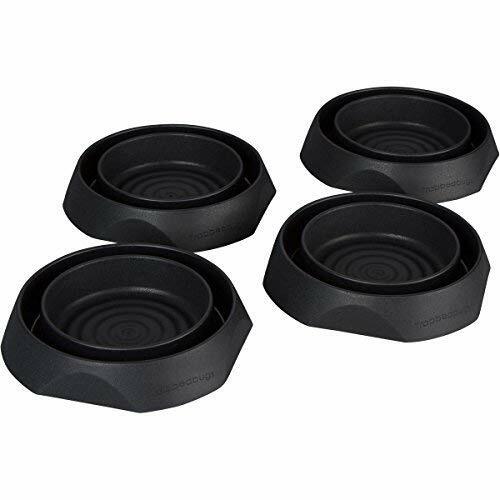 It is supposed to repel mosquitos and ants, as well as any fleas or lice bothering your dog. But don’t use it on your cat – over time it can cause liver damage for them. Peppermint oil is known to have a very strong scent. Some people can’t tolerate the scent of it. But people aren’t the only ones to mind the smell of peppermint oil – bed bugs also don’t like it. If you use peppermint oil as a bed bug solution, you may notice other benefits. If you’re using it mixed in with lotion or with a carrier oil, it can help relieve tension from sore muscles. Remember your basic safety rules about diluting the oils before you begin using any in your home. And if you’re pregnant or someone in your household is pregnant, you should exercise caution while using essential oils, especially if you are using them topically. When it comes to tea tree oil, since you can’t use it undiluted, put 20 drops in a spray bottle mixed with water and spray down your bed sheets. But remember, that concentration won’t be enough to kill bed bugs. It may keep them off your skin however, buying you a little relief at least. For lavender oil, it’s recommended that you mix one drop of oil to every ounce of water you use. You can combine them in a spray bottle and spray your mattress, sheets, and even your clothes with the mixture. You might even find a little benefit from mixing a drop of essential oil in with any unscented lotion you have at your house. It might protect your skin from those hungry bed bugs who might be convinced to stay away from the scent. While you can reap the medicinal benefits of lemongrass oil when using it in massage oils or by adding a few drops to your bath water, you’ll have to create a spray for your bedroom if you want to repel bed bugs. You can’t use lemongrass in its undiluted form because it may burn your skin because of how highly concentrated the citrus is. For that reason, you’ll need to blend it with a carrier oil, like olive oil, or mix a few drops with water to use in a spray bottle against those bed bugs. With thyme oil, you’ll want to use it this same way – in a spray bottle mixed with water. To encourage bed bugs to stay away, you might have some success with drenching cotton balls with peppermint oil and keeping them close to your bed. Or you could put undiluted peppermint oil around the legs of your bed – as long as you don’t have any pets or children who would get into it and possibly be harmed. You can try spraying a mixture of peppermint oil and water on your sheets to try to discourage bed bugs from biting you. Some of these oils, including tea tree, lavender, and thyme can be used on any bed bug bites that develop on your skin. They can soothe the pain with their anti-inflammatory properties. 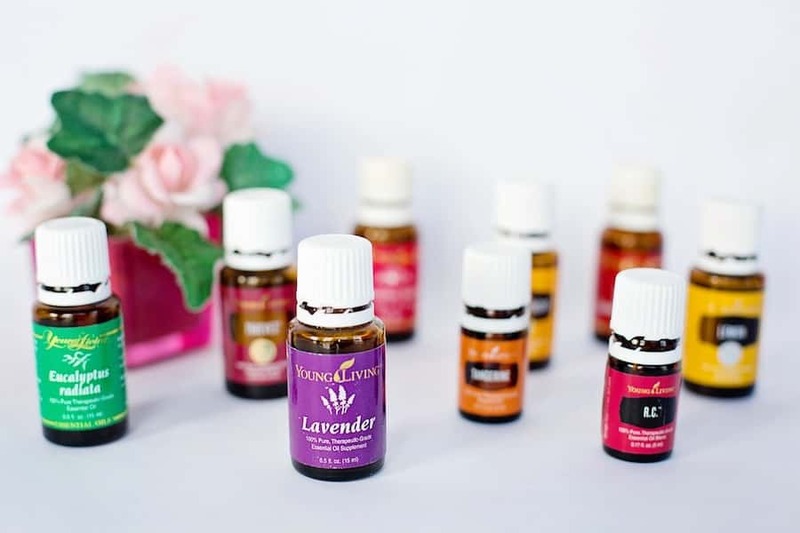 If your bites are bothering you, these essential oils can give you much-needed pain and discomfort relief. If you have more than one type of oil at your disposal, you could opt for double the protection by making an essential oil blend. Certain kinds of oils pair together really well, including thyme and lavender. While essential oils for bed bugs can be an appealing option, they aren’t the most effective tool in your arsenal against them. 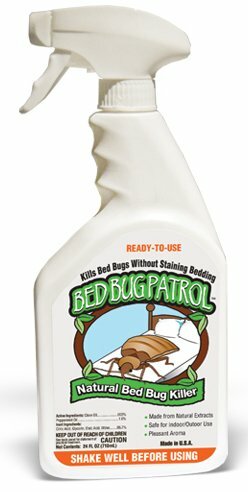 They can be used to help with your bed bug issues, but it’s hard to kill bed bugs with them without harming yourself in the process. 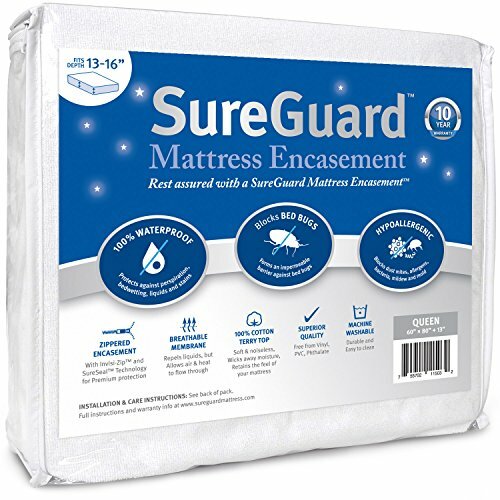 They may offer some protection though when it comes to making the bed bugs stay away from you while you sleep or to help soothe bites after they happen. Because bed bugs can hide just about anywhere, how do you inspect/treat such things as your electronics/computer? I like the idea of the ZapBugg product, but would that be advisable for electronics? My room mate has seen the bugs in his bedroom, but I have not —YET. I am moving home, and of course, CANNOT bring them with me. Any suggestions are very much appreciated, and your site has been the best I’ve seen. Thanks!! !